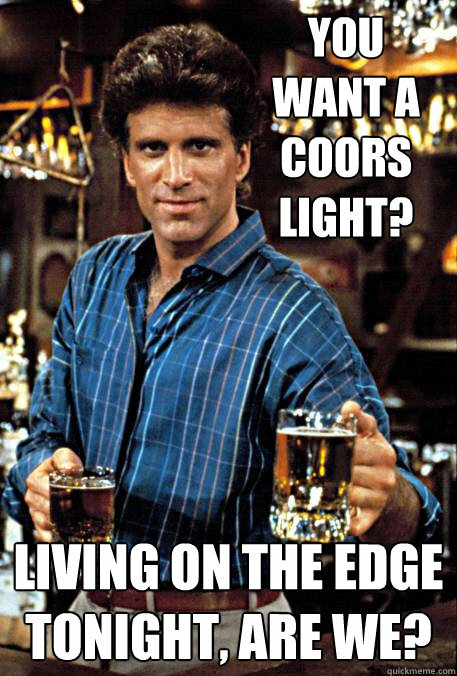 You want a Coors Light? Living on the edge tonight, are we? 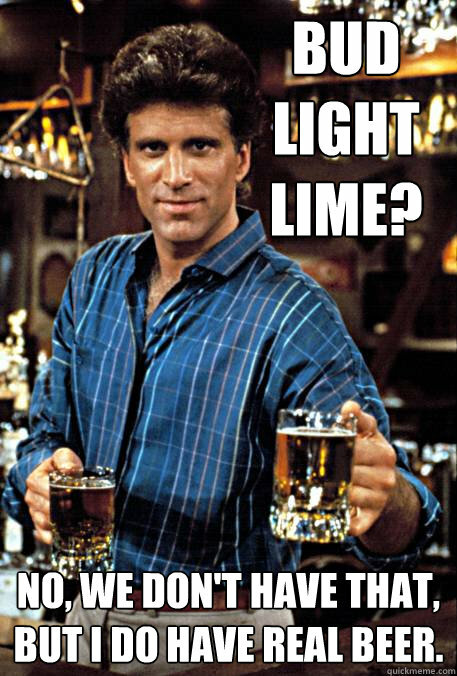 Bud Light Lime? No, we don't have that, but I do have real beer.